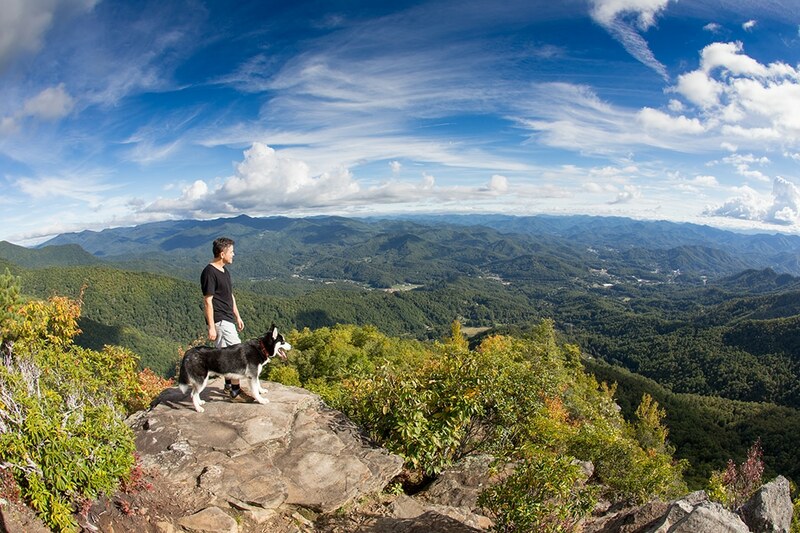 Jackson County, North Carolina, features a varied landscape is a veritable buffet for backpackers. Nestled at the edge of the Great Smoky Mountains National Park, overlaid by the Plott Balsam and Great Balsam mountains, and loaded with strings of soaring 6,000-foot peaks (sixers) amid a massive expanses of forest—the trip options are almost endless. Jackson County’s diversity of trails provides something for backpacking enthusiasts of all stripes, from gear gurus to altitude-immune peak-seekers to cautious car campers striking out into the backcountry for the very first time. 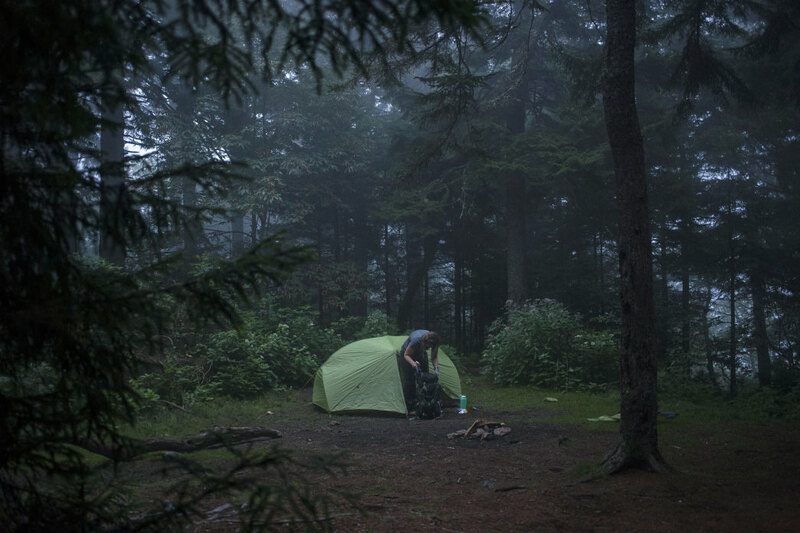 So load up the pack, seek out the starry-skied campsites of Jackson County, and spend some time exploring western North Carolina’s wildest spaces. Just a few miles outside the town of Sylva, the 1,100-acre Pinnacle Park feels much further removed. 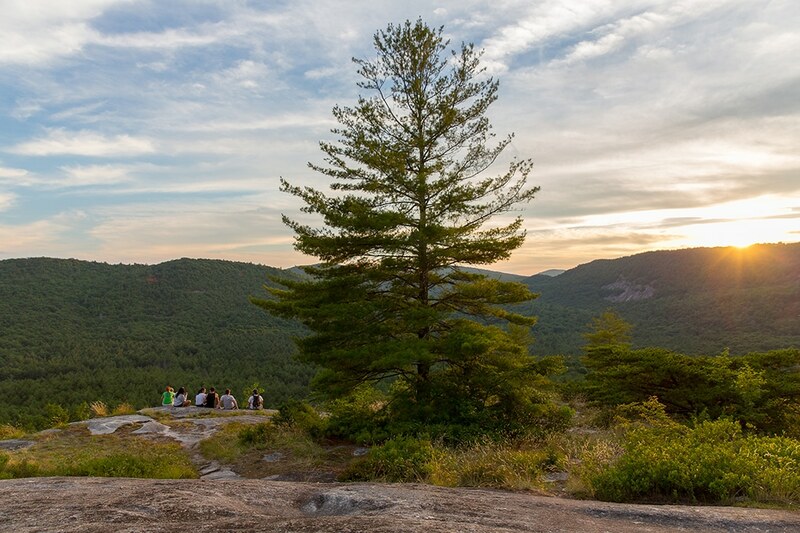 Several trails ribbon through the recreation area, but the highlight of the leafy swath of wilderness is the namesake Pinnacle, a 4,820-foot rock promontory accessible after a 3.5-mile hike, offering celestial views of the towns of Sylva, Webster, and Cullowhee. The park also provides access to the 5,810-foot summit of Blackrock Mountain—a peak trail runners flock to Pinnacle Park to tackle every spring during the 7-mile Assault on BlackRock race. 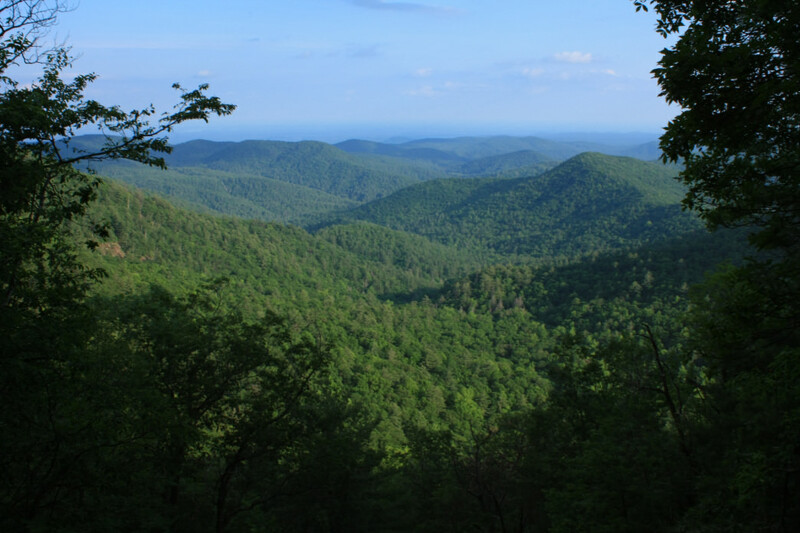 A stunningly varied tract of the Nantahala National Forest once so densely populated with cougars that the rugged expanse was named for the cats, Panthertown Valley is a welcome retreat for crowd-weary backpackers. The 6,300-acre recreation area has been dubbed the “Yosemite of the East,” and the landscape is loaded with natural marvels, including towering 4,000-foot peaks, thickly wooded groves of fern-blanketed forest, and secluded waterfalls pouring into tannin-tinted trout streams. There are 30 miles of official Forest Service designated trails threading the valley, with countless secondary paths and unofficial tracks splintering off the more well-established routes. The extensive trail network can become a leafy labyrinth, so pick up the definitive map to Panthertown Valley, A Guide’s Guide to Panthertown by Burt Kornegay, or find more information from the nonprofit Friends of Panthertown. Easily accessible from the Blue Ridge Parkway, the 30-mile Art Loeb Trail ribbons through the Shining Rock Wilderness, showcasing spectacles like Cold Mountain, Shining Rock, and Stairs Mountain. In Jackson County, the trail traverses one of the loftiest peaks in the Great Balsam range, Black Balsam Knob (6,214 feet). It’s a trademark southern Appalachian bald, crowned with a sea of wind-rippled, wildflower-flecked meadows. For distance hikers, the Mountains-to-Sea and Art Loeb trails regularly intertwine, making it easy to link the two in order to craft a more extensive trek. Meandering through North Carolina and upstate South Carolina for nearly 80 miles, the Foothills Trail offers a compact distance-hike—one that’s achievable in just a week on the trail. The multi-state route is also peppered with access points, making the Foothills Trail easily done in bite-sized portions. In Jackson County, the trail showcases the Nantahala National Forest and provides access to one of western North Carolina’s most stunning natural wonders—the 411-foot tall Whitewater Falls, the loftiest waterfall east of the Rocky Mountains. For backpackers craving a lengthy thru-hike, Jackson County serves up a lofty stretch of the state’s premier distance track: the Mountains to Sea Trail. It originates due west of the county at Clingmans Dome in the Great Smoky Mountains National Park. While in Jackson County, the 1,150-mile trail parallels an elevated section of the Blue Ridge Parkway, encompassing some of the highest peaks in the Plott Balsam, including Waterrock Knob, and delves into remote expanses of the Nantahala National Forest. After deviating from the parkway, the trail also winds past some Jackson County’s inviting mountain towns, including Dillsboro and Sylva. North Carolina’s portion of the Ellicott Wilderness—a massive 8,296-acre area also shared by Georgia and South Carolina—provides access a pristine stretch of the Chattooga River, which was designated as a “Wild and Scenic River” more than four decades ago. Located slightly east of the town of Cashiers, the Bad Creek Trail is an excellent option for a short and sweet backcountry overnight. You’ll find access to a smattering of riverine campsites along the Chattooga after a three-mile hike (with a more grueling return trip).